If you have ever been frustrated by the amount of time you spend writing, rewriting, and putting off writing letters, To the Letter is for you. It’s impossible to survive in business very long without writing letters. Or without having someone else write them for you—a service available to very few people. To the Letter is a far more practical solution to your business letter-writing problems. It gets right to the point, with more than 360 model letters and 1,500 alternate phrases to use in customizing them. 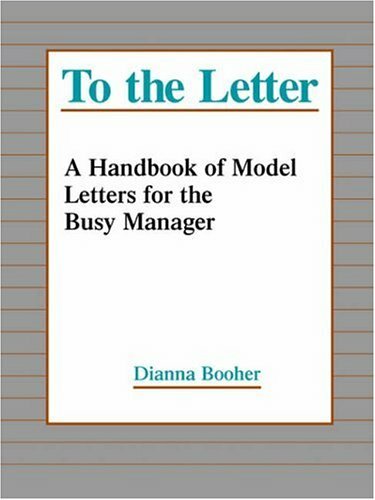 There are model letters for more routine matters too, such as requesting and providing information, announcing promotions, making and refusing adjustments, and providing follow-up. In all, you’ll find To the Letter model letters to fit a variety of needs in dozens of major categories.